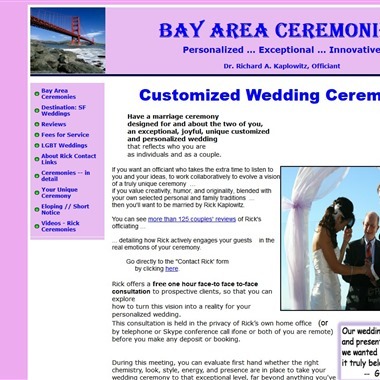 Select photos you like; we'll recommend wedding officiants in San Francisco Try now! 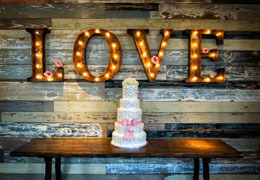 My weddings are romantic, contemporary and light hearted. My mission at your wedding will be to honor you as a couple by sharing your story and communicating your love for one another for eternity. Together we will create your perfect wedding. 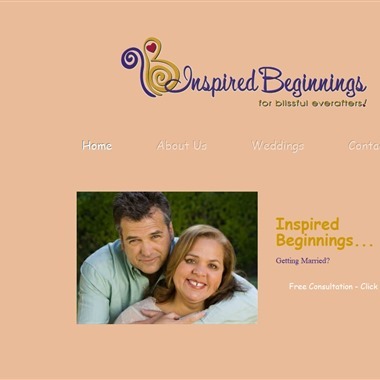 At Inspired Beginnings Weddings we are committed to You. At the end of the day, you deserve your perfect wedding! We offer tools to help you, from simple consultation to walking you through the process of finding your wedding vision. I am one of very few people who are actually licensed to issue licenses, so you can have a same-day quick marriage if you wish. But I also officiate at big formal weddings and everything in between. 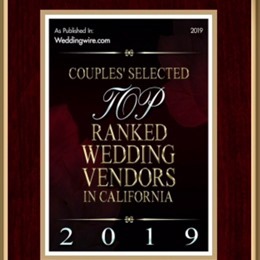 Whether you wear blue jeans or a wedding gown, I promise you that every single guest will say it's the best ceremony they ever attended - GUARANTEED! I am passionate about officiating unique wedding ceremonies while helping couples create a radiant foundation for a successful and satisfying marriage. 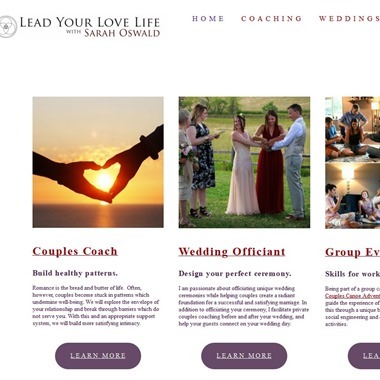 In addition to officiating your ceremony, I facilitate private couples coaching before and after your wedding, and help your guests connect on your wedding day. Paulann Sternberg M.A.is a non-denominational minister with an extensive background in counseling, education, and the expressive arts. She has a professional yet warm and welcoming approach that immediately puts clients and guests at ease. Have a marriage ceremony designed for and about the two of you, an exceptional, joyful, unique customized and personalized wedding that reflects who you are as individuals and as a couple. I am an ordained Minister of the Universal Life Church who performs memorable wedding ceremonies, large and small. 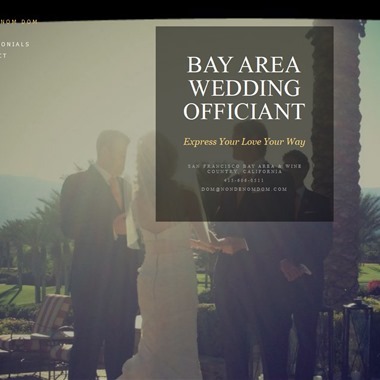 Based out of the Bay Area / Wine Country in California, crafting a ceremony that meets your vision is what matters most in making your day special for you. The ceremony is the centerpiece of the entire wedding event. 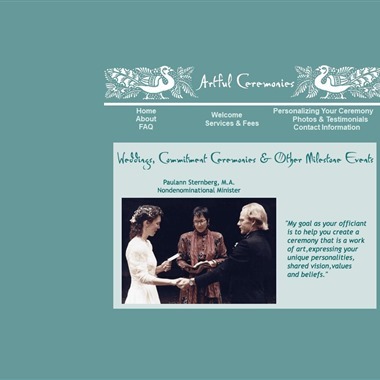 My job as wedding officiant is to prepare and deliver—professionally and as the couple desires – the ceremony, including the vows, the ring ritual, and the proclamation of marriage.